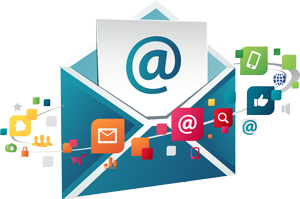 Email marketing consists of the usage of electronic mail for the purpose of advertising and communicating a message to the end consumer. Most individuals refer to an email campaign as a ‘newsletter’. Probably one of the best strategies to a successful email marketing in Jacksonville FL is to make sure you provide valuable information. Spammers tend to constantly shove low information down your throat. Even if you are sending out more email campaigns than the average business, as long as the end user feels it is quality information then your influence will continue to be a positive one. Even if you only send one newsletter a year, and the quality is so poor, you still have a greater risk of getting your email junked than a business that constantly sends out quality campaigns. Just because you have been able to harvest a bunch of emails, have not pestered your clients, and have been selling a terrific product; does not mean that your efforts to attempt an email campaign on your own won’t backfire. Writing and design must be considered when you are creating a newsletter. Is it relevant to the audience? Is it a responsive design? Customers always choose a product based on its package, and email marketing is no different. In comparison to the four common forms of online marketing – social media, email marketing, pay-per-clicks, & SEO each one has its advantages & disadvantages. Let’s review the pros v. cons for email marketing. Success can be measured through metrics. Can take the time to build your email list.